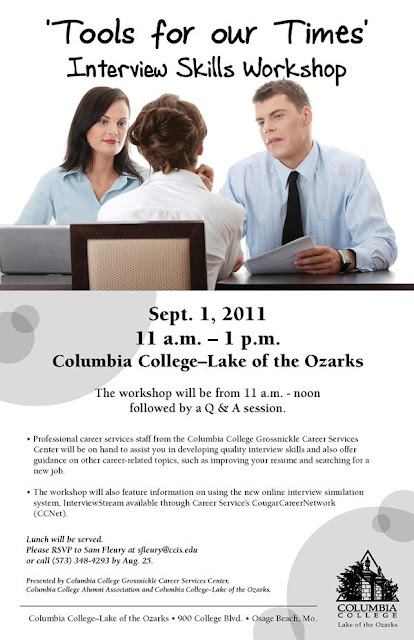 When: Sept. 1, 11 a.m. – 1 p.m.
Why: Are you looking for a job? Or possibly a new career path? Let experts from the Columbia College Grossnickle Career Center assist with developing outstanding interview skills and also offer the tools and guidance you need to get find the career you want! RSVP to Sam Fleury at sfleury@ccis.edu or 573-348-4293 by Friday, Aug. 25.